This month the Virtual Book Club for Kids author is Donald Crews. 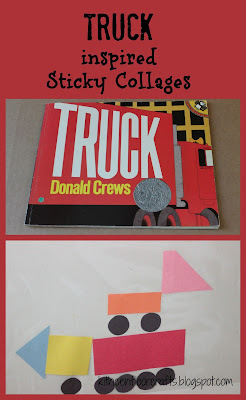 We read several of his books last year as we explored our Vehicle Week as they perfectly fit our Simple Summer Theme. 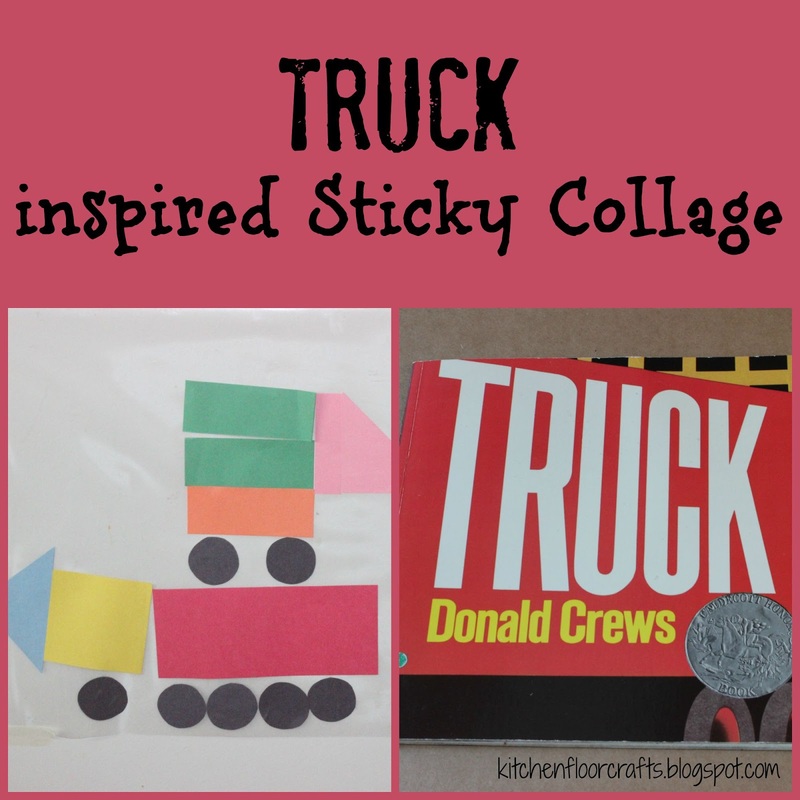 The book the boys enjoyed the most was TRUCK. 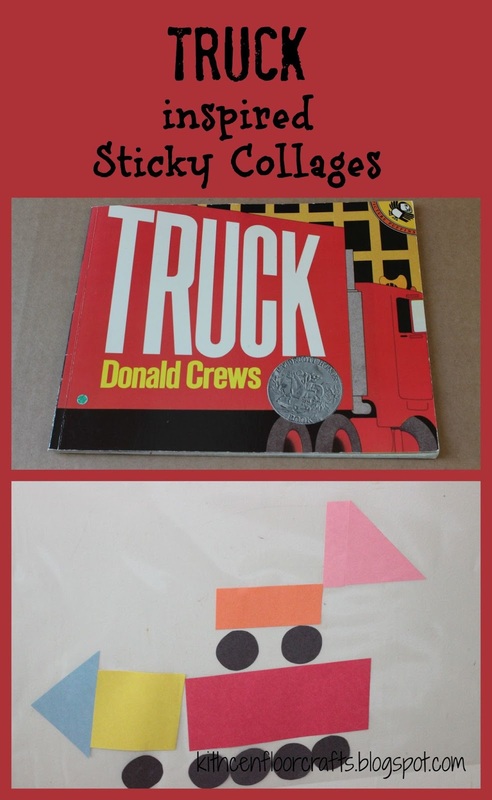 The book follows one tractor trailer truck as it makes its way across the delivery route. The brief text and bold, colorful illustrations make it appealing to even the littlest reader. Though we like the simple story line, the illustrations inspired our extension project. I noticed how his illustrating style is made up of bold lines and mostly simple shapes, so the idea of encouraging to boys to create their own trucks using simple shapes came to mind. 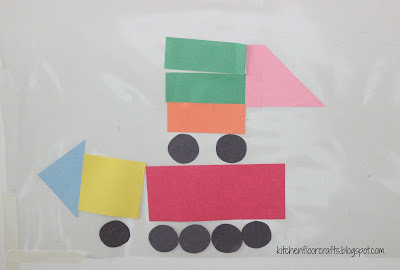 Little Brother is still working on developing his language skills, and I also thought it would be a great way to talk about the different shapes while creating. 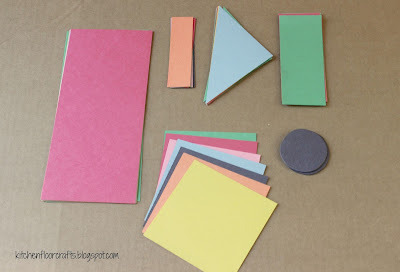 To make the focus of the project be on the shapes and creating a bigger picture from the shapes I decided we would use contact paper (which decreases mess) and I would precut the shapes. I cut a variety of rectangles, squares, circles, and triangles from colored construction paper. 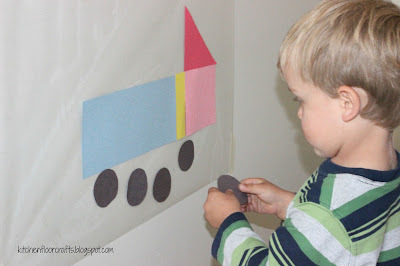 I also hung two pieces of contact paper on the wall, so each kiddo could work on their own piece. Big Brother pretty quickly began to envision how he would create the truck images. 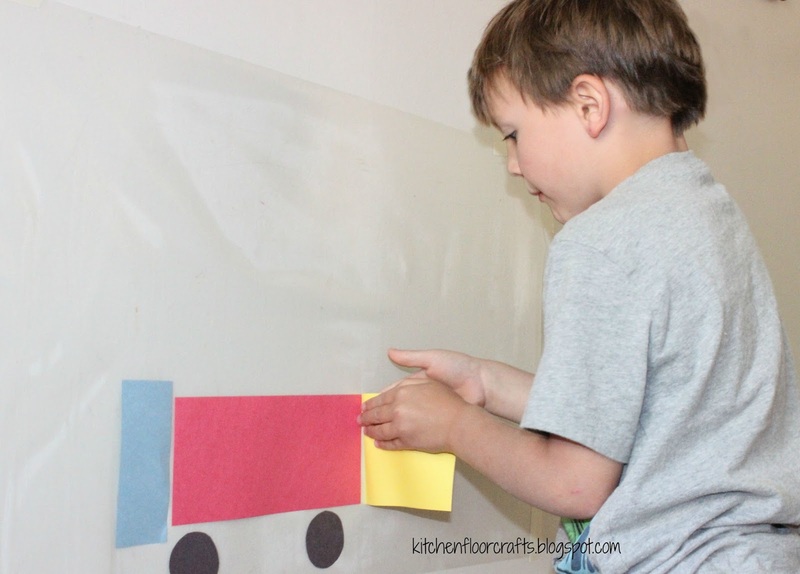 He wound up experimenting with creating two different vehicles. Little Brother needed a little more guidance, but as I wanted to work on saying the names of the shapes that worked out well. I helped build the truck body, and he added the circle wheels. which meant he made up his own cool extension from the book. 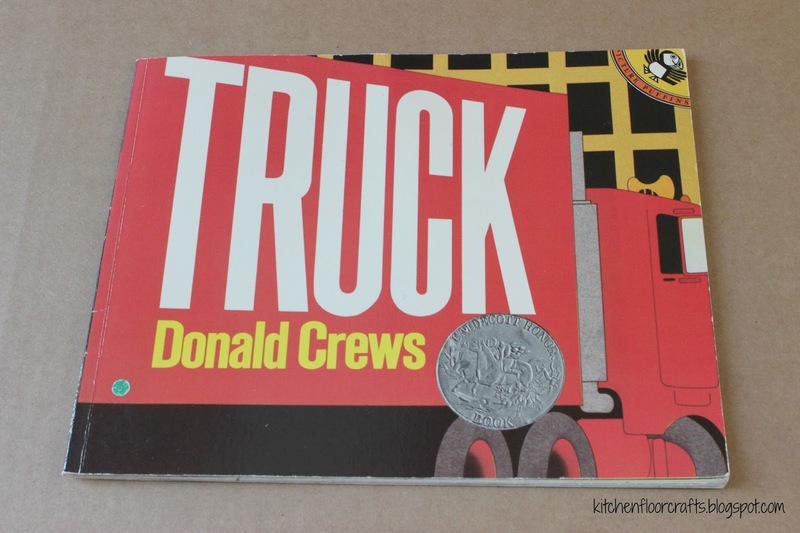 I'd love for us to reread some of Donald Crews' other books and try creating shape images of the objects we find in these books too.